I'm sure you've all seen it so here is thing. But hey, these remakes could be a good time to advertise PV a bit and attract some new readers. That is true, but I don't think they will be a straigh remake. They need to keep the character customisation in for a start off, people loved that. Either way I can't wait to see if there are many more Mega's involved. Ha ha, I didn't expect a serious response to the Pebble Version remake thing! That's true though that this might bring in more people searching for R/S material. They updated the gym designs and puzzles from G/S to HG/SS, so I expect they'll do the same this time around, and there were a few new maps added so that's not too far-fetched either. I wonder how they're going to handle the Battle Frontier? 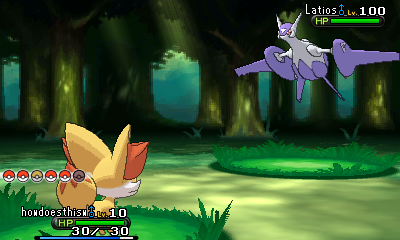 It would be cool to see the Emerald map make a return honestly but it's pretty different from what we've got in X/Y. Pokemon Contests were also introduced in R/S and I'd be really disappointed if they didn't bring them back. Since they weren't too popular they might replace them with something else (Like those video things in X/Y) or cut them entirely, but we'll see. I'm also expecting them to keep trainer customization and super training. They're popular features that it would be silly to remove. I'm hoping they'll also keep O-Powers and make the Streetpass compatible with X/Y; I don't know how difficult it would be to code that but now that update patches are a thing that can happen they can add the necessary data to X/Y to make it easier. Also Colly reminded me that Secret Bases existed! I forgot about them because they didn't really work that well in 3rd Gen, but with Streetpass they could actually be really cool! I would expect contests to return, though probably updated to either the D/P version or some new version. As for now content... Probably something similar to Emerald and...maybe a dungeon for Deoxys and/or Jirachi? Now what I really want to see in these remakes... Xain and Cali. Not gonna happen, but that'd be about the coolest addition I can imagine. Looking at other remakes, FR/LG had the whole Sevi islands thing with added dungeons for Lugia and Ho-Oh, plus events for one of the legendary dogs... so rather than dungeons for Jirachi and Deoxys (who will probably just be handed out through events) I'd expect dungeons for like, Dialga and Palkia or something. And then of course if you were both playing at the same time, they'd show up in your "Passerby" list, so you could send them O-Powers, trade, or battle. So yeah Secret Bases though. I hope they make them like contest in the anime, with contest battles. I always like the idea. Anyone got any comments on the new megas and devolution forms? Sableye is a meh, I like the look of the two new starters megas though! Aside from that though... we got a trailer that was like "Two adventures to chose from!!!" And I am very, very worried. If this means they're actually gonna go with Ruby and Sapphire stories rather than Emerald... ugh. I usually end up with both version of the game so any difference between the versions is good in my eyes, looking forward to the two different teams again. I never played Emerald. Even if they pretty much stick with the R/S stories, the difference between the two games' stories was pretty minimal. Swap Team Aqua and Magma around and change the goal between flooding land and making more land...and that's about it. Emerald mixed it up a bit more. That said, I really don't expect much from Pokémon games storywise (that's what the manga is for), so whatever. Either way I'm looking forward to it, a new pokemon game is exciting as always, and two in one year, yay! While the Emerald story would be better, I'm not going to be too impressed in that department unless they adapt the story from Pokémon Adventure, or Pebble Version. Like you say, who really plays for the story LOL. First time through yeah, but 3rd or 4th time your just skipping text.